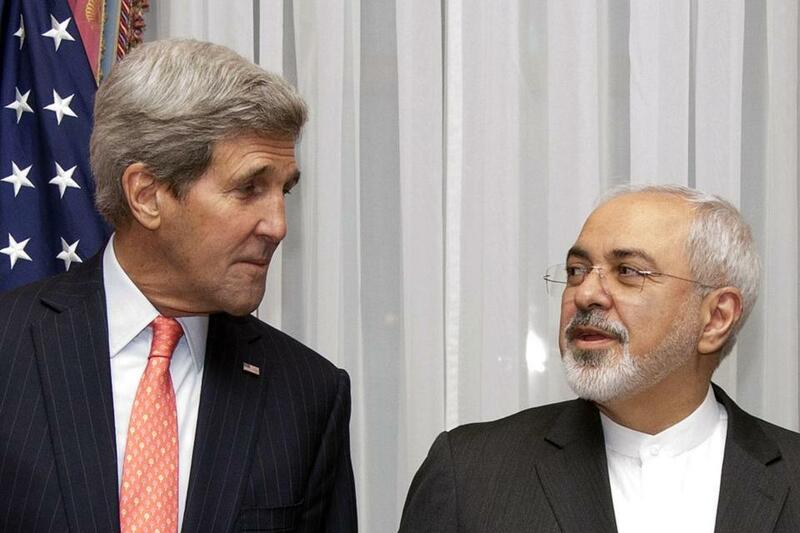 Secretary of State John Kerry and Iranian Foreign Minister Mohammad Javad Zarif. The idiom “bargaining with the devil” sets up well the attitudes of both Tehran and Washington toward each other in their current negotiations to curb Iran’s nuclear capabilities. Each deeply distrusts the other and has done so for more than 30 years. Each has its legitimate list of grievances. Each has its proponents who want to reach a deal, and each has its coterie of hard-liners who would like to prevent one. Iran’s president, Hassan Rouhani, has the Ayatollah Khamenei who needs convincing, and President Obama has Congress. “Bargaining with the Devil” is also the title of one of my favorite books, by Harvard’s Robert Mnookin, the subtitle of which is “when to negotiate and when to fight.” Mnookin takes up several case studies to answer this question, ranging from divorce, to sibling rivalry, to business quarrels, on through Winston Churchill’s decision not to bargain with Hitler during the darkest days of Word War II, and Nelson Mandela’s decision to bargain with his devil, the apartheid government of South Africa. Mnookin’s book was written in 2009, long before the United States, Britain, France, Germany, China, and Russia decided to negotiate with Iran over its nuclear program. But the book’s conclusions have relevance today. Mnookin spells out certain traps that negotiators can fall into that ultimately hinder success. One is tribalism, by which each side falls back on its own culture and identity. Americans and Iranians today are both saying to themselves: Those other people don’t think the way we do, and treachery and deceit is in their mother’s milk. The opposite trap is universalism, which presumes all mankind is the same, while in reality Iran and the Western powers are very different. A third trap that both Iran and America have fallen into is demonization. Each side disparages the other in their nuclear negotiations. If those doing the actual negotiations in Switzerland have avoided this trap, the ayatollahs, certain American congressmen, and Israeli Prime Minister Benjamin Netanyahu have not. Of course for some critics, such as Netanyahu, it is becoming clear that, in their minds, no agreement with Iran would suffice other than total Iranian surrender. The secretary of state stresses that the choice the US faces will be this deal or no deal. Much of the criticism of the agreed-upon framework is contradictory. The Washington Post’s Dana Milbank has pointed out that Senator Lindsay Graham, for example, recently urged Obama to ditch the deal just reached with Iran and go back to the 2013 interim deal “that’s been fairly successful.” In 2013, however, the interim agreement was roundly denounced by none other than Senator Lindsay Graham. Senator Bob Corker called that same interim deal “a total victory for Iran,” but now he is saying that if talks fail we can rely on the interim agreement. In the United States the fact that the six other major powers have also been involved in these negotiations is largely ignored. But the fact remains that if the Americans pull the plug on the Iran negotiations in a manner that appears unreasonable, we can expect these countries to drop the sanctions to which they have hitherto agreed. Former secretaries of state Henry Kissinger and George Shultz, in an important article in The Wall Street Journal, alleged, “The threat of war now constrains the West more than Iran.” Clearheaded people in Washington know that a military attack on Iran would result in unforeseen and unintended consequences that would rival those of our invasion of Iraq. So, yes, the West wants to avoid a war with Iran. Iran needs a deal with the West more than the West needs a deal with Iran. Iran’s leaders are under pressure to rejoin the world, and they know it. The celebrations in Tehran when the framework agreement was announced were much more joyful than any in the West. Kissinger and Schultz lay out a series of warnings such as how difficult it would be to determine when an Iranian infringement of the agreement is worth a re-imposition of sanctions, and how a difficult a “snap back” of sanctions would be. But they are letting the perfect become the enemy of the good. Yes, the agreement is only for 10 years, and, yes, we had to make compromises, but all that is true for the Iranians as well. The main complaint our two elder statesmen make seems to be that any arms agreement has to be part of a “strategic doctrine for the region. . . . For Iran to be a valuable member of the international community, the prerequisite is that it accepts restraint on its ability to destabilize the Middle East and challenge the broader international order,” Kissinger and Schultz write. From two such experienced players on the world stage this is surprising. Schultz was up to his elbows in arms agreements with the Soviet Union, the aim of which was arms control, not changing Soviet behavior or asking them to surrender in the Cold War. When Kissinger made his historic and secret visit to Mao’s China to pave the way for President Nixon’s visit and change the balance of power between the United States and the Soviets, he didn’t try to tack on as a prerequisite that China must give up supplying the North Vietnamese or recognize Taiwan’s right to independence as a precondition. When you are getting a divorce, you may try for custody of the children or ownership of the house, but you do not also demand that your spouse stop smoking and drinking — not if you want to achieve your main objectives. And the main objective is to deny Iran a nuclear weapon for at least a decade, and lengthen the breakout time in which Iran could race for the bomb. That is a worthy goal in and of itself. It need not be loaded down with demands such as recognizing Israel or giving up Hezbollah. Accepting restraint on its behavior as Kissinger and Schultz say should not be added to our demands in curbing Iran’s ability to develop a nuclear weapon. It is true that proponents of the deal hope that better relations with Iran may lead to a softening of its approach and make it a better neighbor. Some have phrased the question: Is Iran’s leadership ready to change, as was Soviet Union’s Gorbachev, or is it going to stay the course as an exporter of bad behavior, like Stalin. But even if Iran doesn’t change for the better, slowing down Iran’s weapons-making ability is a good deal in and of itself. President Reagan used to say “trust but verify” when he was talking about arms control with the Soviets, which really means you don’t have to trust as long as your verify. For some foreign critics of Obama’s approach, notably Saudi Arabia and Israel, the very prospect of better relations between the Iran and the United States is nearly as off-putting as the nuclear threat. Jessica Mathews, formerly of the State Department and National Security Council, writes in the New York Review of Books that “the most significant objections, not to this agreement but to any agreement, is the one that primarily fuels Israel’s efforts to prevent a deal. 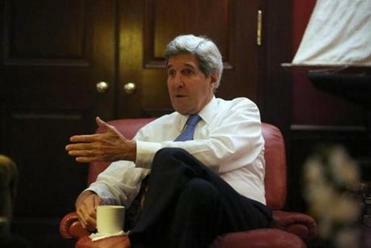 It is the fear that an agreement will lead to Iran rejoining the international community” — which is, of course, what the Obama administration hopes. This might change the “familiar alignment of nations in the Middle East,” Mathews writes. Another warning Mnookin offers when bargaining with the devil is to consider the alternatives. If this deal falls through, or is blocked by its critics, there is absolutely no doubt that Iran will move closer to having a nuclear weapon in a very short time. An arms race in the unstable Middle East would be released. Surely it is better to try to hinder and limit Iran’s nuclear program even if it is not forever. Sanctions can injure Iran, but they cannot stop a determined Iran from having nuclear weapons. Not if Iran is willing to pay the price. Then there is the alternative of military force. Former ambassador to the United Nations John Bolton says we should bomb Iran. But even the most optimistic bombing enthusiasts say it would only buy the United States two years. Iran would be united against us in unending hostility, with the power to hurt us in the Middle East, and after two years we would have to go back and bomb Iran again, and again, creating a sort of giant Gaza that has to be destroyed every two years — a policy that has not enhanced Israel’s security and certainly wouldn’t enhance ours. As Mnookin points out: “In refusing to negotiate with certain regimes, President Bush may have allowed his moral intuitions to override more pragmatic choices that would have better served the interests of the American people.” Cheney-style rigidity has simply not worked anywhere it was tried. For more than 30 years unbending hostility towards Iran has gotten us nowhere. As for the Iranians, they know that if they actually produce a nuclear weapon other countries in the region will immediately follow suit, making Iran’s own security more tenuous. Bargaining, even with the devil, is looking more and more like the best option even if it is between two sides that consider the other to be Satan. Correction: An earlier version of this story misspelled Nelson Mandela’s name.